Today is the 44th birthday of Jeff O’Neil, who I first met when he was brewing at Drake’s here in sunny California. 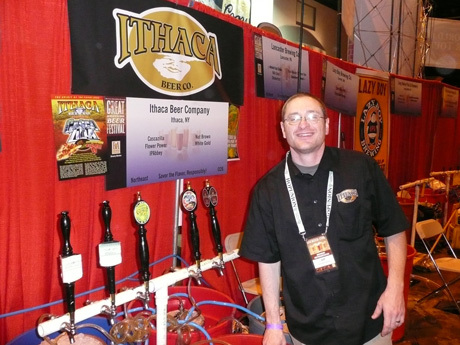 He’s since gone on to make a name for himself at Ithaca Beer Co. before leaving that gig to become the brewmaster at the Peekskill Brewery, both of which are in upstate New York, which is where Jeff originally hails from. Jeff’s a terrific brewer and an equally wonderful guy. Join me in wishing Jeff a very happy birthday. Jeff at GABF in 2007. 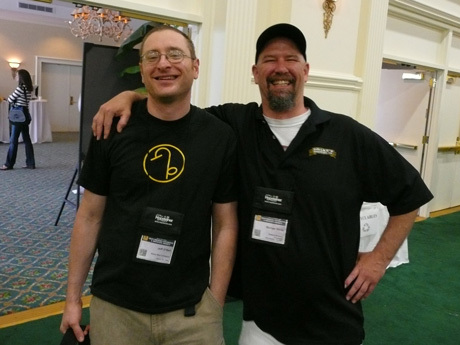 Jeff O’Neil, from Ithaca Brewing, wearing his automatic-get-on-the-bulletin shirt, with Rodger Davis, when he was still with Drake’s, not wearing his, at the Craft Brewers Conference in 2008. 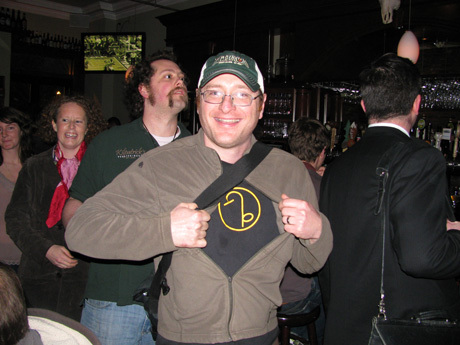 Jeff O’Neil, a mild-mannered brewer was underneath wearing the Bulletin supporter costume that turns him into a superhero, coming into Deep Ellum in Boson for an event during the Craft Brewers Conference a few years ago. One of the greats indeed. For the record , the previous comment from H is not from his wife. Although she agrees with the sentiment. Thanks Jay, sorry I missed this last week- we were/are busy with a new baby. Also big thanks for continuing to run these pics of skinny elvis!